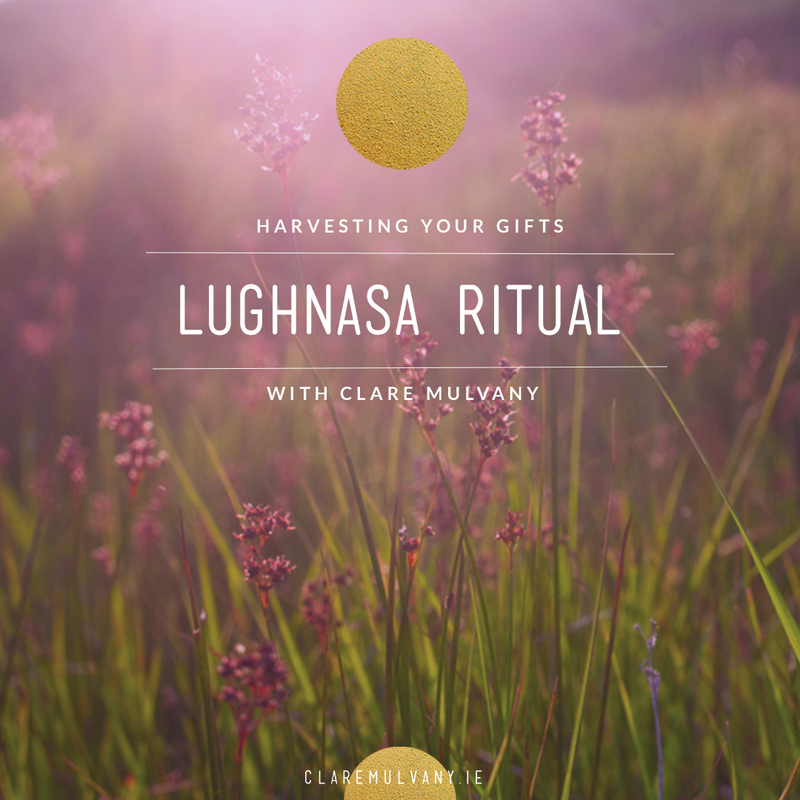 A Lughnasa Ritual: Time to harvest your gifts. Posted on July 31, 2018 at 8:26 pm. For those who have been following along this year, you may remember we started the year with an invitation to set our intentions for the months ahead. Then, over the course of the year, I have been sharing rituals, inspired by the celtic calendar, to help us tune into the gifts of the season and stay close to our intentions. 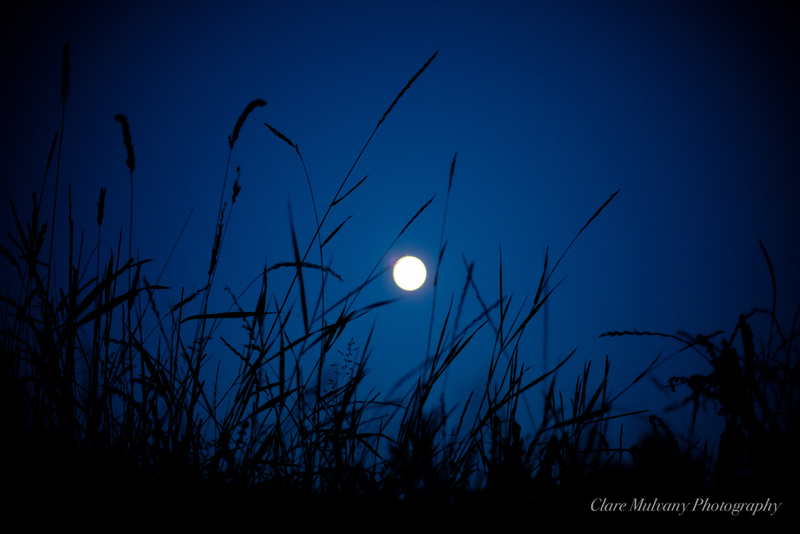 Tonight is Lughnasa in the Celtic Calendar- a time that signals the beginning of the harvest. And so, an offering and a gift from me to you- a short ritual for reflection on your own gifts, that you may honour them, embrace them and have the confidence to offer them outwards and onwards. You can access your seasonal ritual via my mailing list by signing up here. You’ll be sent a download link directly. Below, the introduction to the guide, happy reading, and savouring, and harvesting of your wonderful and important gifts. ‘The ripening is upon us. Along the roads the blackberries are changing their form, from tight knots to full of summer swell, their juicy bulbous domes are rising for the picking. The thought of blackberries also brings thoughts of poetry, their sight is so coupled with Seamus Heaney’s remembrances that his are also my own. Moving into the memories of when ‘briars scratched and wet grass bleached our boots’, ‘Blackberry Picking’, the poem, is now synonymous with blackberry picking, the act. All year I’ve been collecting jars. What once was filled with pickle is soon to be filled with jam. I’m awaiting the days when the berries are at their best, perhaps a few weeks from now, when a day will be given over to the picking and jam-making. I’m thinking already of who I’d like to invite along and what pot I’ll use. I’m thinking of being able to give the jam-filled jars away, as gifts, and I’m thinking of the winter ahead, when a dollop of sweet jam will be added to warm porridge, to ride the winter tide with sweetness and let the gift of the harvest extend it’s time. For what is a harvest but a gathering of the gifts, in extension. As the blackberries turn, so to does the season. We have reached another turning point on the celtic calendar,moving into Lughnasa (pronounced Lu-na-sa), a time that signals the beginning of the annual harvest. 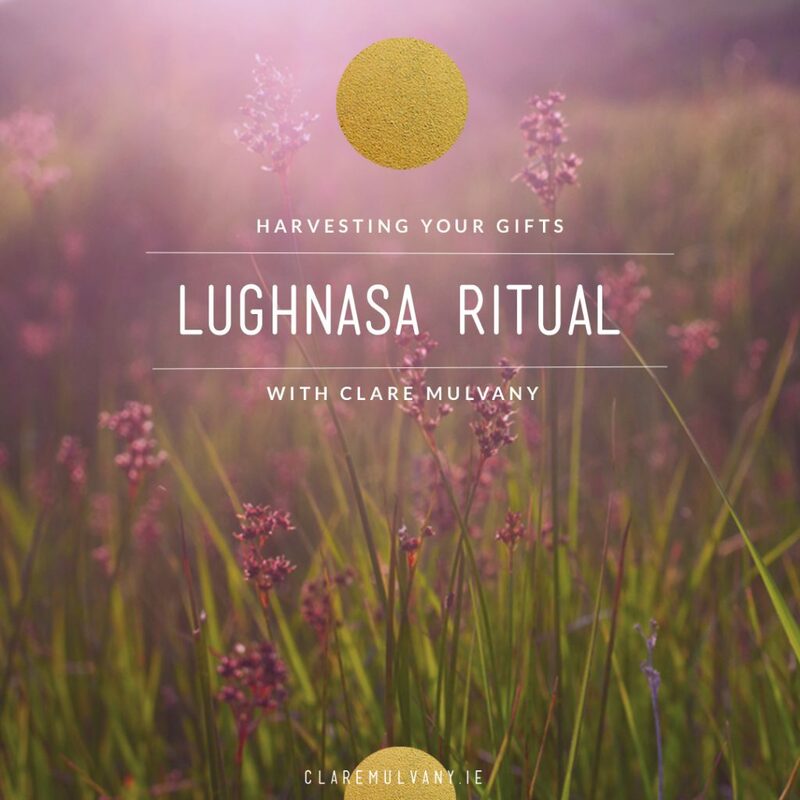 Lughnasa, a cross-quarter celebration in the celtic wheel, rests mid-way between the summer solstice and the autumn equinox and is named after the sun God Lugh, of the Tuatha De Dannan. Lugh was said to be a God of many gifts and talents, a Master of the Arts and Culture, who yielded a cunning sword and a swopping presence which harnessed the light energy of the sun. The festival of Lughnasa (July 31- August 1) is a time to celebrate and give thanks and praise for the coming harvest, that which has been ripened by the sun, as if the dance and the joy will aid the final stages of growth and quicken the ripening. After months of tending barren soil, then tending seeds, the land now offers it’s fruits. In the offering is also the gift, and with any gift comes the invitation to rejoice. Yet how often do we see our gifts as offerings, as things to rejoice? How often do we really honour our own gifts so that they may be quickened? Thinking of Lugh today, we might say that he was ‘gifted’. However if Lugh claimed it for himself, if he declared his own giftedness, we’d perhaps call him egotistic, or obnoxious, or a little bit full of himself! In contemporary society to honour our own gift, to really own it and to declare it, requires a confidence and a defiance. So often we dismiss the gifts we have been given, for fear of being labelled too full of ourselves, or sure of ourselves. Instead, inside we hide, keeping our gifts close, and in keeping them close we don’t reap the opportunity to share them with others. So perhaps there are deeper lessons from the blackberries too: if they are not picked, shared and savoured- either by humans or animals, their fruit will go to rot, not serving their full potential. Similarly if we do not learn to harvest and share our own gifts, they too go underground, even to rot. And so in reclaiming the festival of Lughnasa we are also given this opportunity to reclaim and to declare our own gifts. It does not need to be a loud declaration, or even a public one, but an inward appreciation of the gifts given, from which we can share and serve, and seed the future we long to create. 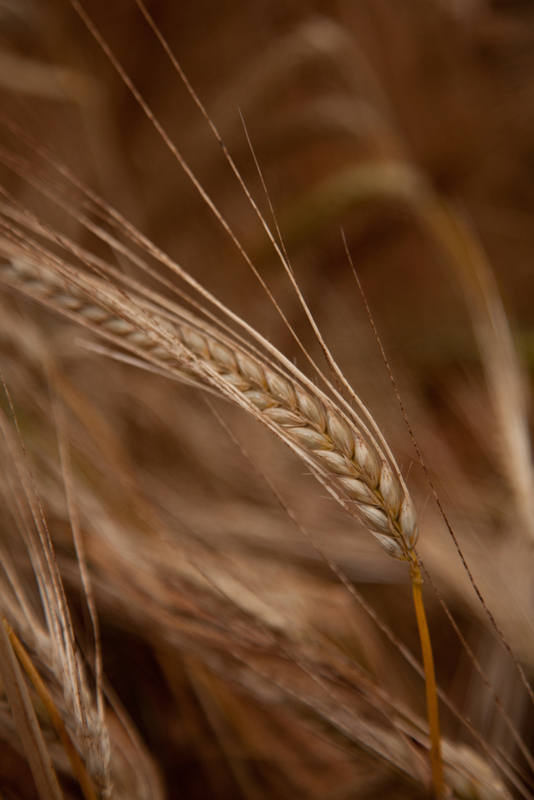 So this Lughnasa, let’s take some pause to harvest and to celebrate. Let’s take time to name our gifts, claim them, declare them, so we may move outwards again, with a knowing that our gifts are also our generosity; that our gifts are our offerings, in extension’. Posted on July 24, 2018 at 6:54 pm. Something a little different today. 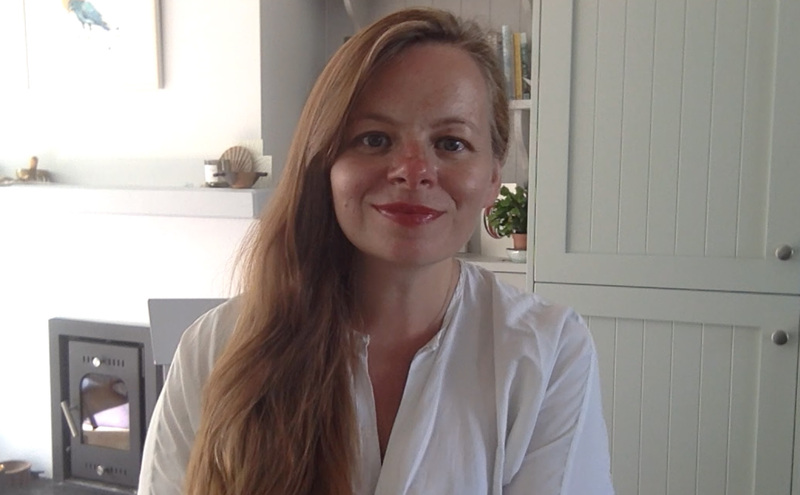 I decided to do a video update to shake things up a bit, and to share some happenings, ideas and invitations with you. So grab yourself a cuppa and imagine we are sitting across the way from each other in our favourite coffee shop, sharing the stories of our lives. It’s not polished, it’s not perfect, but it is me, speaking from my heart to yours. I’m going to share two recent dreams I’ve had and how they are shaping the emerging future for me. Plus I talk a little more about the retreats and workshops I have coming up. Enjoy your cuppa! And hope you are having a lovely July so far. If you have any questions about the retreats or workshops after watching this, or other enquiries, do drop me a line. Posted on July 13, 2018 at 9:32 am. I’ve heard several people say that they have ‘melty brain’ syndrome at the moment, finding it hard to focus and ‘push on’. It is high summer. The air is warm and the invitation is to move our bodies and being in rhythm with the summer flow- time to be embodied, present to the delights and offerings of the season. My ‘work’ has also shifted gear with much walking, sitting, swimming, spontaneity, moving inwards to move outwards again. The ‘push on’ mode just isn’t working anymore. The ‘push on’ comes from a linear, patriarchal system of production and functioning, scaling economics and industrial model of efficiency. We are not machines, and linear time models are not functioning any more either. So we need ways to honour the intrinsic cyclical flow of time; the exchange between contemplation and output; pause and response. This symbiosis or reciprocity is embedded into our ancient time systems, like the celtic and lunar calendars, but also into the creative process. Creativity arises in the gaps- the magic of the space between. It’s when you are out on a walk and an idea pops, or while fully engaged in another activity, a whole inner paradigm shifts. I’ve heard the production driven system of work being described as one of the greatest violences mankind has inflicted upon itself. With little room for pause, how can we expect the creative solutions and responses our world so desperately needs right now? So what does a non-violent approach to time look like instead? Maybe it starts with giving ourselves some pause, not checking our phones so much. Maybe it starts with paying attention to how we are using our precious attention. If you are having ‘melty brain’, what part of yourself is not being honoured? What part of your being is craving attention? The opposite of ‘push on’ is not necessarily ‘slow down’ but ‘tune in’. Melty brain? Maybe it is the best invitation we’ve ever received. Posted on July 6, 2018 at 2:24 pm. Summer is hitting West Cork in full glory. Across the skyline a heat haze hovers. It has the look of a mirage as the sea lights up in sparkle and dance. None of us can quite believe it. This is the weather of ice-creams and ice cubes, of deep orange sunsets, of spontaneity and buzz. I see people of all ages diving in to the sea, letting their bodies go under and emerge with an exhale of release. Yet, I’ve been finding it hard to locate my words over the last few days. It is as if they have melted in the sun, moulded to the rock, or are evaporating in the mid-day heat. I know the words are there, for I can sense them, so many of them, circling and circling, in an ever widening sphere, spinning a vortex or a cocoon perhaps, into which I can climb and be transformed. ‘What’s your story? It’s all in the telling. Stories are compasses and architecture, we navigate by them, we build our sanctuaries and our prisons out of them, and to be without a story is to be lost in the vastness of a world that spreads in all directions like arctic tundra or sea ice’, writes Rebecca Solnit in the opening lines of her book, The Faraway Nearby. ‘Without a story, we are lost’. And so then to be with a story is to have a map; a way of locating ourselves in time and place. With a map we can orient ourselves through the terrain of our inner landscape- the rivers of our emotions, the fields of our relationships. The poet Naomi Shihab Nye writes of this also, ‘Get in the habit of welcoming your own words, you are making a map to the days of your life’. Our words give us access to the power of narrating our own stories. They help us to listen in, dig deeper, find the thread and pull it closer. In that sense, when we listen to the stories we have been telling of our lives, we also have the choice to re-tell those stories. We get to narrate our own life rather than be passive about it. Our personal stories may have taken us through loss, or heartbreak, or even trauma, but when we can find the fragments of ourselves in our words, and weave with them into a map of the terrain we have travelled, we get a fuller, and deeper, map of our lives. ‘We make our lives bigger or smaller, more expansive or more limited, according to the interpretation of our life that is our story’, writes Christina Baldwin in Storycatcher. This art of narrative re-telling is also the art of expansion; giving us a broader view, allowing us to survey where we have traveled with the tools of perspective and the tools of writing craft. It seems that our stories hold the key to our growth too. Storytelling is also an art of combining things that otherwise would remain dispersed; we get to cohesion by illuminating the fragments. Take a mosaic- it’s the fragments which get re-worked into a new object, transformed into art by virtue of their brokenness. When we each tell our stories, we get to craft another object of beauty; the mosaic of our lives and place it central, like a cathedral window looking out into our days. It is a way we can heal the past, but perhaps too it is a way we can heal the future. A life, well lived, is the storyteller’s art. So, yes, your story has power in it. Perhaps more than you think. For there are the stories at the individual level and then their are those of the collective. These are the stories we use to tell of the culture we create, and are also the stories of the rules and laws we use to protect and maintain that culture. It is why our stories are our survival, but perhaps our downfall too. It depends on how we choose to tell them, and what we choose to listen too as well. ‘Stories contain the hidden secrets of transformation, the alchemist’s formulas for turning lead into gold. If we hear enough stories about profound transformation, we find ourselves transforming, even in spite of ourselves’, writes Dr. Lewis Mehl-Madrona in Coyote Wisdom, adding, ‘while we can’t command transformation, we can create an enriched environment that makes it more possible’. Which basically implies that if we want to transform the culture we live in, we must learn to transform the stories we tell of that culture too. Storytelling is a collective act as much as a collective art. I went to a public protest in Bantry earlier this week. Several hundreds of us gathered to stand up for the sea kelp forest in the bay. A company called BioAtlantis has been issued a licence to mechanically extract it, en mass, to be used in the production of animal antibiotics and other veterinary products. There was no proper public consultation and many locals are outraged. As I was joining the march I met a woman and asked if she was joining too. It turns out she was a visitor to the town, and when I told her why we were gathering, she too was shocked. But the flavour of her shock also surprised me, ‘Why would you do that when you can eat it’, she said. As in, why would you harvest the sea kelp for animals, when it can be used for human consumption. Herein lies a core problem with one of our main cultural storylines: it is human centric. What is nature but a resource to humans to exploit for our benefit?, this storyline dictates. When you follow that storyline through it will lead you the problems of over population, the over extension of our natural resources, and then even to mass extinction and the denial of the innate and essential reciprocity of life. It’s a storyline we need to flip, fast. But what if we could tell a different story, one where our non-human neighbours on this planet are given back their rightful place? What if us humans are not the most important species? Think how different that would be, not only to the other species but to ourselves too. ‘There is an ancient bond with the natural world surviving deep within us’, the naturalist Michael McCarthy writes in The Moth Snowstorm, ‘which makes it not a luxury, not an optional extra, not even just an enchantment, but part of our essence- the natural home for our psyches where we can find not only joy but also peace, and to destroy which, is to destroy a fundamental part of ourselves. Should we lose it, we would be less than whole. We would be less than we have evolved to be. We would find true peace impossible’. Are we telling a story of fragmentation and ‘other’ or are we telling a story of wholeness? Our lives, all our lives, depend on narrative. What is the story we are telling of ourselves? And what is the story we are telling of the world? I think these may be the two most important questions of our time. Why? Because at the root of it all, we always get to story. How we choose to frame our world, our policies and our practices, depends on the stories we hear. Who we choose to create a narrative of love around, or who we choose to tell a story of hate about, it all comes back to the stories we know. And so it is that our stories are what bond us, but are what can break us too. A life, well lived, is indeed the storyteller’s art. And a culture? And a society? They too are crafted on narratives. How we choose to tell them is up to each one of us. I think it is time, high time, that we learn to tell a better story. We start with our own, so that we can build bridges made of stories between us. And as we listen so too are we transformed. We are alchemists after all, one story at a time, word by precious word. There are lots of ways I can support you in discovering and telling the stories you want to share. 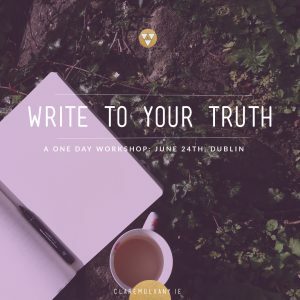 Come on a one day workshop- the next ‘Write to your Truth’ workshop is on 18th August in West Cork. You can also come on a longer Wild Edge Retreat – diving into your writing process and crafting narratives. Look out for a new online writing programme this Autumn, and also you may want to consider some one to one writing coaching and support… please get in touch and I can tell you more. Want to stay in touch? Sign up to my newsletter for updates and resources. Posted on June 20, 2018 at 1:17 pm. The summer swell is here. The days have reached out at either end, with open arms, to embrace the light. By morning, the dawn chorus rises from the land, like bubbling cheer; pops of music to open the day. To close it, the late twilight stirs with the warbling of enlivened bird chatter, marking a full circle of a full day. This year, along the West Cork hedgerows, blossom bursts from even the tightest of places.The purple foxgloves are ascending to the open skies as applause does, in rapture and in thanks. Their rising salutations, these bright flashes of bloom, are visitors to what only a few months ago was blanketed in heavy, uncharacteristic snow. Now instead the sweet scent of honeysuckle join the parade and the wispy white bog cotton raises it’s flag in surrender to the summer light. Everywhere the land is encoded with elixirs. This is life seeking life. Under every stone, a tussle of insects busy. In the bushes, the hum of the bumble bee, carrying the golden pollen; magic dust to carry on the life. The swallows have returned too, their black tips and white bellies tumbling through the fields in great bursts of speed and jubilant flight. Wrapped around every tree, every blade of growing grass, every blooming branch, every song that is carried in the air, there is a single word: fullness. We have reached another tuning of the celtic year. Here in the Northern Hemisphere the summer solstice is upon us; the mid-summer marker in the great turning of the earth into this fullness. The summer solstice is one of the eight points in this great cycle of time and earth spin when we are reminded that we too are encoded into a greater span of time, and a deeper web of life seeking life. The solstice offers a reminder to us to look around, celebrate where we have come from, and prepare for where we are heading. In that sense it is both a summit and a return. Having reached peak light, we will begin the slow return to the dark, the flip-side of fecundity, the yin to meet the yang. In the summer solstice, the winter solstice is born, and here, our light and our shadow are reunited in this mid-summer yielding to the earth’s natural spin. We inhale to exhale. We rise to fullness, to return to emptiness, in order to rise again. To honour the ancient rhythms, is to acknowledge our own connection to the flow of life and creation into which we offer our gifts. In the celtic calendar, the solstice was not marked with a particular kind of ritual, but it is marked in stone. Summer solstice alignments can be seen in Bonane, in Co. Kerry, and in Co. Louth among the Knowth range of standing stones and sites. However, on St. John’s Eve, June 23rd into 24th, across the West Coast of Ireland, and in particular in Connemara, there is the tradition of the lighting of bonfires to commemorate St John the Baptist. This could be seen as an extension of the Bealtaine fires tradition, or the incorporation of a more ancient mid-summer fire lighting tradition; to gather and commune with the light. To commune with our light. To gather around it. To celebrate fullness. These are the threads of ritual which the summer solstice now offers to us to weave into our own ways. 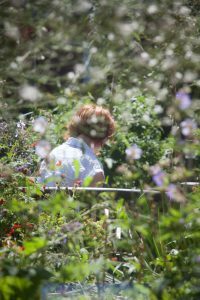 We can take it as an invitation to pause in the fullness of the summer days, rest in the knowing that the bees and the plants, the trees and the wildness are preparing the way for harvest. 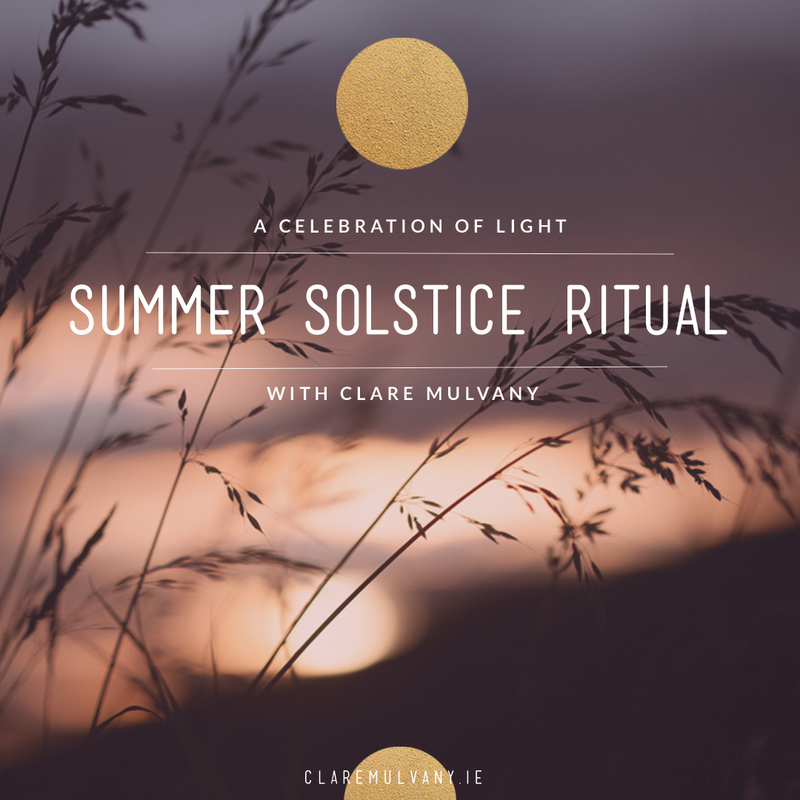 We are invited also to use the solstice as a gesture to honour the way we have travelled across the span of the year, a moment to take stock, and a pause from which to align to our own intentions for our own becoming. This is the power of ritual: the pause, the marking of distinct movements of time, so that we too can feel encoded into the very life that surrounds us; our gifts an intricate element of this fabric of time, our offerings- whether through our work, our families or our wider communities, a chance to contribute to the continuation of the life which supports us all. 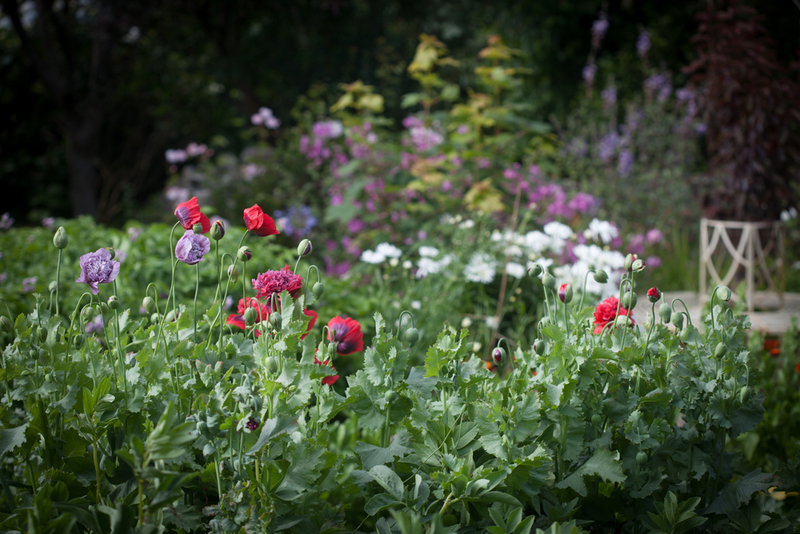 This is our call to protect those bees and those birds, those foxgloves and that bog cotton, so generations down the line they will still be giving thanks to this great summer flourishing, and this great span of unfolding fullness. Our lives, all our lives, are woven. Our rituals help to keep them so. Tonight, after I teach a yoga class (with lots of sun salutations! ), I’ll head down to the beach, with some friends, some poems and my journal to take stock, to pause, to honour the gifts of life which have arrived this year and commune with the light. I’ve created this short ritual for you too: a series of three reflective practices for you this solstice. To receive your free copy, sign up to my mailing list and you’ll be emailed a download link. Posted on June 1, 2018 at 10:19 am. It has been a buzzy whirl. I’m back in my favourite coffee shop here in Schull, overlooking the harbour, taking a moment to land. It’s hard to believe sometimes how much change can happen in a few days. Not a week ago we took to the polls in Ireland. ‘Landslide’ was not a word I would have expected to be associated with the referendum, but that indeed it was. We had got it wrong- we had misjudged the nation’s position; radically so. The night before the referendum I travelled down to the most southerly tip of Ireland, to the villages of Goleen and Crookhaven to do some canvassing for the yes vote. I was a very reluctant canvasser at first; hesitant and scared to talk openly about what is such a sensitive and personal issue. What’s more, I’ve always got creepy vibes in Goleen so it was the last place I wanted to knock on doors! But there is power in the pack, and when my friend here in Schull, the activist and Uplift founder, Siobhan O’Donoghue, invited me to come along, I knew this was a chance to step into my own margins, to the edge of my comfort zone. As our canvass grew closer, and as my nerves grew too, I was reminded of one of the core themes from the On Being Gathering which I attended back in February: to listen. ‘There is the power of being heard. Really heard’, I had written in my On Being notes. ‘How often does that happen in our families let alone in political life and leadership? To learn how to be heard we also need to learn how to listen. Really listen, and be generous with it’. Something flipped for me then. I realised I did not actually have to talk much, but instead really listen- to the ‘no’ side, to the ‘yes’ side, to the undecided and to my own fear. Rather than try to impose any view or opinion, what felt more important was to give people space to reflect, tell their story and be heard in a safe and open way. What mattered was to show up with a respectful and compassionate heart. This was my chance to practice and be generous with my listening. As we drove the twisting rural roads, I was expecting No all the way from these little villages on the margins of Ireland. It was a glorious sunny evening when we arrived, the sky awash with migratory birds and evening song, the Atlantic waters calm by our side. Could I not just sit by the sea instead? 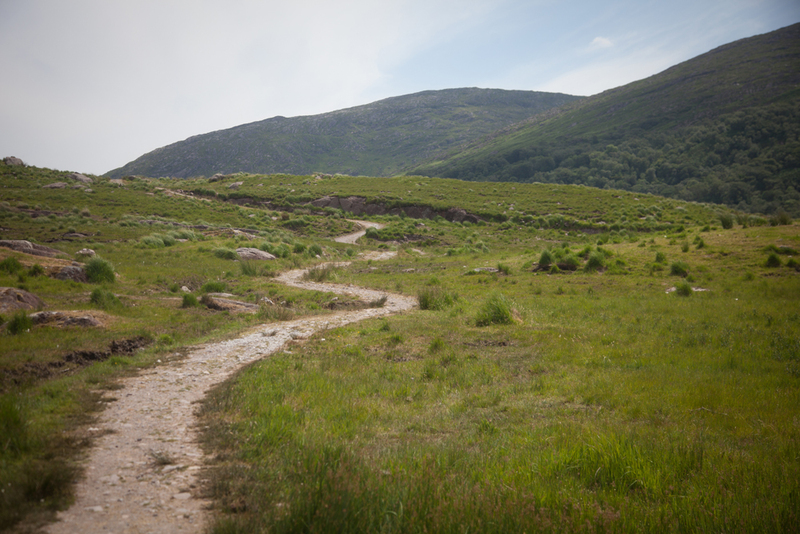 My nerves grew stronger as we began the conspicuous walk. I tagged close to Siobhan. The doors awaited. We entered in a dark pub. Men in rows drinking dark pints looked us up and down, slowly and with great caution. One man by the bar furrowed his brow and kept his eyes low to his pint. I wanted to bolt. ‘Just listen’, I told my beating heart, ‘and stay open’. I took some deep breaths and imagined sending loving thoughts into the heart of each of those men. I was still scared. An awkward nervousness descended. An old man, raised his pint, then his eyebrows. With a gentle upward nod of the head he finally broke the silence; ‘It’s your body. You make a choice. Who are we to stop you?’. Then another man raised his pint and his approval. Then another. Then another. ‘You have my yes’. All the old men, with their dark pints in this strange village, ‘yes’. The man who sat at the bar remained silent, his brow now softened, a smile about to breach, if only he’d let himself. These are things that hold interest, marking one state of being to another, an ‘us’ and a ‘them’, an inside and an outside. So often we are led to believe that they are fixed; that the boundary marks an end state; that the edge our our comfort zone will always be the edge; that we get to grow only to a point; that minds which are fixed will forever be fixed. Back in Biology class, circa 1995, I learned about osmosis; ‘The movement of liquid or gas from an area of high concentration to an area of low concentration through a semi-permanent membrane’. The cell wall is not a fixed state, but a frontier, or a passage, between one state of being, and another- through the margin of the wall, the entire chemistry of the cell can be modified. No cell wall is fixed. Whizz deeper, and we get to the sub-atomic level in any case, where we realise that we are all just bundles of bouncing energy and space, with plenty of room to manoeuvre. Nothing, not even something that appears solid, is in a fixed or permanent state- not even ourselves. And when when we think of ourselves as immutable and irrefutable, we become locked in our own definition of ourselves; constricted somehow, until the world we want to know is the world we already think we know. In other words: we become small. In the 1983 abortion referendum 66.9% of the votes were in favour of inserting an amendment into the Irish Constitution which gave a pregnant woman and unborn babies the equal right to life. In the 2018 abortion referendum 66.4% of the votes were in favour of removing the said amendment in the Irish Constitution. In the space of 25 years, the nation changed it’s mind, even at it’s edges. I made so many assumptions about those men, about that village. Sometimes it’s easier just to make assumptions about others rather than listen; for then we don’t have to step outside our comfort zone. We can feel safer in our pack, retreating to what we think we know for sure, or who we think we are. When we challenge our assumptions of others, we have to challenge our assumptions of ourselves. This is the hardest part, for our assumptions live right up against our internal margins; the boundaries of self and identity we place upon ourselves, who we think we are, what labels we define ourselves by (religion, gender, status) and the limits to which we think we can go. But if we don’t learn to challenge our assumptions of ourselves we don’t get to challenge what we are capable of becoming either. We can assume we are not creative, or talented. We can assume that our circumstances alone give rise to our outcomes. In making assumptions about our resources and capacities, we place false boundaries on what is available, and therefore possible. Assumptions are like blinkers, blinding what wants to be seen, or emerge or be created. A long long time again, I placed a staunch label of a religion around myself. That religion became my world, and in that world I thought I would belong forever. I felt safe there, and understood. But I had so utterly defined myself by that label, that religion, that I fell into the black and white school of thought. It was either this way or the wrong way. You either believed, like me, or you could be converted to believing, like me. I was young and convinced I had the truth, a singular truth. 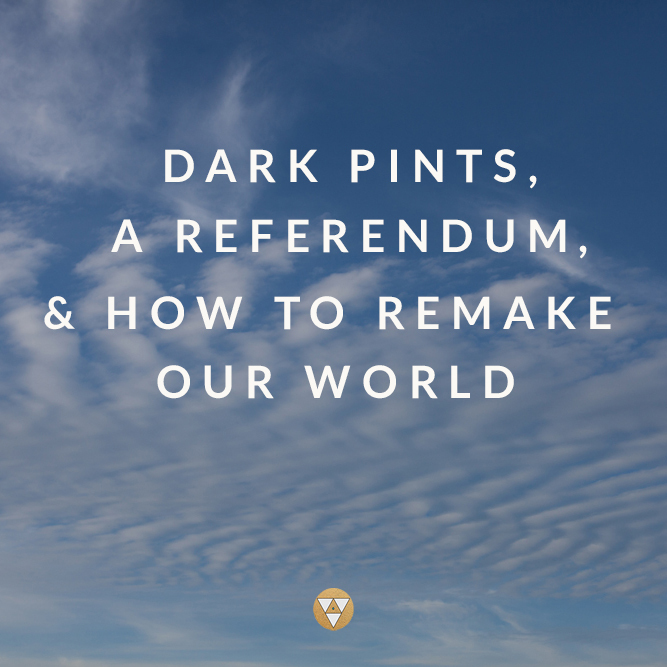 There was no room in me for grey, or ambiguity, or even giving a parting glance of a notion to the fact that I, one day, would be out canvassing for a yes vote in an abortion referendum. I would not have recognised the me of now, and now, I can hardly recognise the me of then. I am proof of change. What changed me? Well, it was ancient and simple really: stories, and love. When I was in my early 20s I got myself into a fancy pancy university to be ‘educated’. Little did I know the kind of education I would actually get there. It turns out that it wasn’t the education of books, or labrynthal libraries, but the simple act of sitting with a group of different kinds of people around a big dinner table, night after night, and listening to their stories. They each had a different one to tell: stories of believing, stories of abuse, stories of achievement, and honour and failure. Stories of heroism and heartbreak. Stories which melted me. Night after night I realised that I could no longer see these people as other, or wrong, or even different. Story after story, meal by meal, we became friends, and closer friends. I even fell in love with one of them- a young man who was the total opposite of who I thought I ‘should’ be attracted to. In other words, he was nuanced, and complex, and confused, and beautiful. Story after story, love after love, the boundary of how I defined myself started to break down; my own story no longer held to be true. Soon I knew I had to drop the ‘religion’ label. It was terrifying. Who was I without the label? The definition? My tribe? The protection of my own walls? What would happen to me if I stepped across my own margin of myself? I stepped across into what was to become one of the hardest times in of my life. In loosing the definition of myself, for a while, my whole world imploded. I did not have another story to hold me, so instead, I turned in on myself, harming myself. It was terrifying. Until that is, one day, another friend showed up in my life and decided to listen to my story, generously, and with an open heart. He did not try to fix me, he did not try to correct me, or give me his opinion. Instead, he listened, and in doing so, I was returned back to love. To listen to each other, to really listen is to redeem the best in ourselves so we can learn to write a new story for how to fully and beautifully show up in the world. I am now wondering: what if we could each entertain a different story for a while, one that goes something like this: that we are semi-permanent membranes, bouncing around with infinite possibility and space. That we are each other. That as much as we are stardust we are also stories. That if I disagree with you, I can still respect you, still hold you in a universal understanding that your version of the truth is yours, and mine is mine, and somewhere in between we might get to an answer, if only we can learn to really listen, if only we can climb over our walls. We drove back into Schull, amazed, and shook, and beaming. The swallows and swifts darted across the twilight sky. 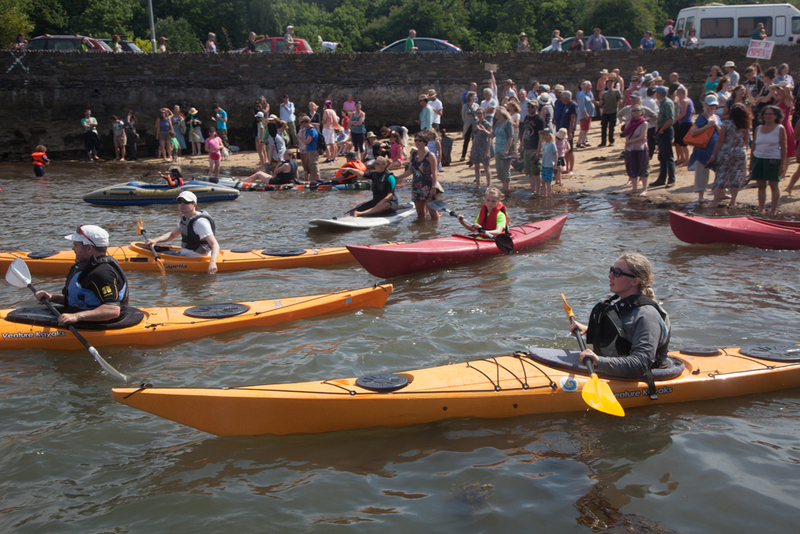 Schull was buzzing with festival goers; the annual Fastnet Film Festival was in full swing with people travelling from all over the world to see art, make art. In other words, to listen to stories, to tell them and to shape them too. The following day, the nation was to vote. That night, I could not sleep. The bird song was on high volume, and with a full moon on the way, the tide was high too. I lay in bed reflecting on how far away the old me now seemed. As the moonlight made it’s way through the cracks of my bedroom blinds, and as the thick blanket of night lay flat across the peninsula, I thought of the strange little village on the edge of things, and I swore, if I listened close enough I could hear the world rewriting itself as the old men with their black dark pints lifted their quite heads and raised a nation. The film festival will return next year with new stories when I’ll sit again around a big dinner table, with old friends, and new strangers, and together we’ll learn how to listen. It’s the way I’ll remake myself again. In fact, I think it is the only way we’ll remake each other, with stories, and with love. Want to stay in touch? 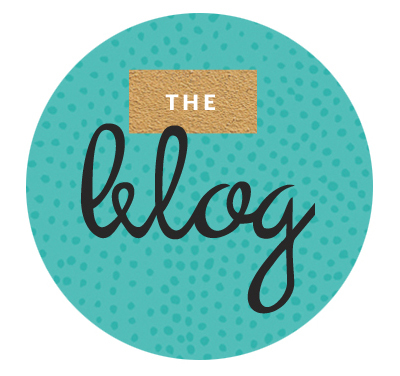 Sign up to my newsletter for resources and tools for leading your one wild life. Like this post? Please share with people who you think would benefit from it too. Is it time to write your story? 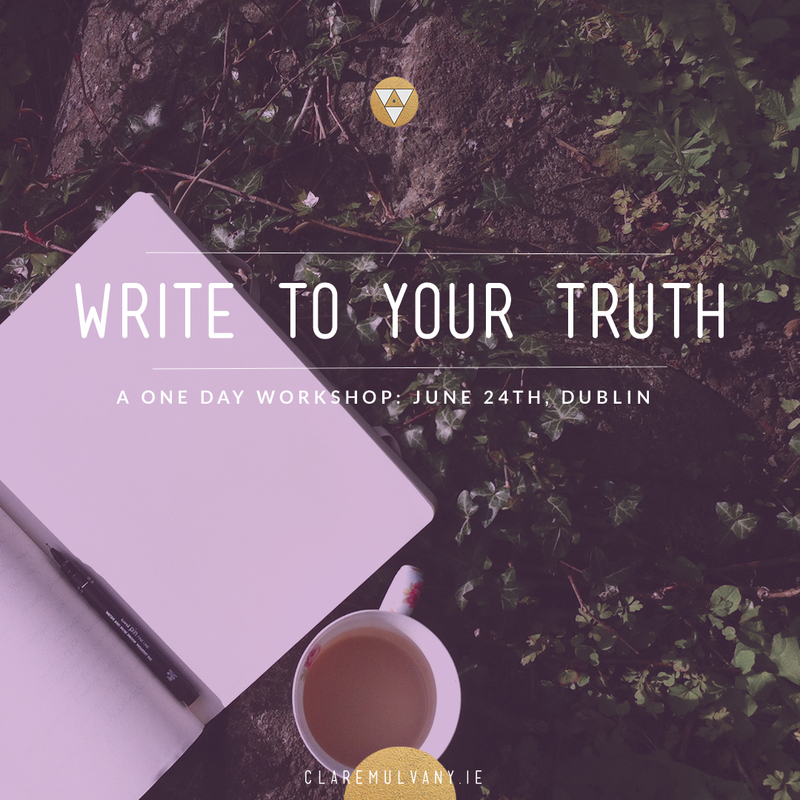 If you have been thinking of doing some coaching with me, or writing mentoring, this one day workshop in Dublin will be a perfect introduction. June 24th, The Sanctuary, Dublin. Find tickets here and more details here. Limited spaces. West Cork is AMAZING right now- the buzz of summer and long days. Come write, come dive deep into the questions of what you want to do next with your own wild and precious life. 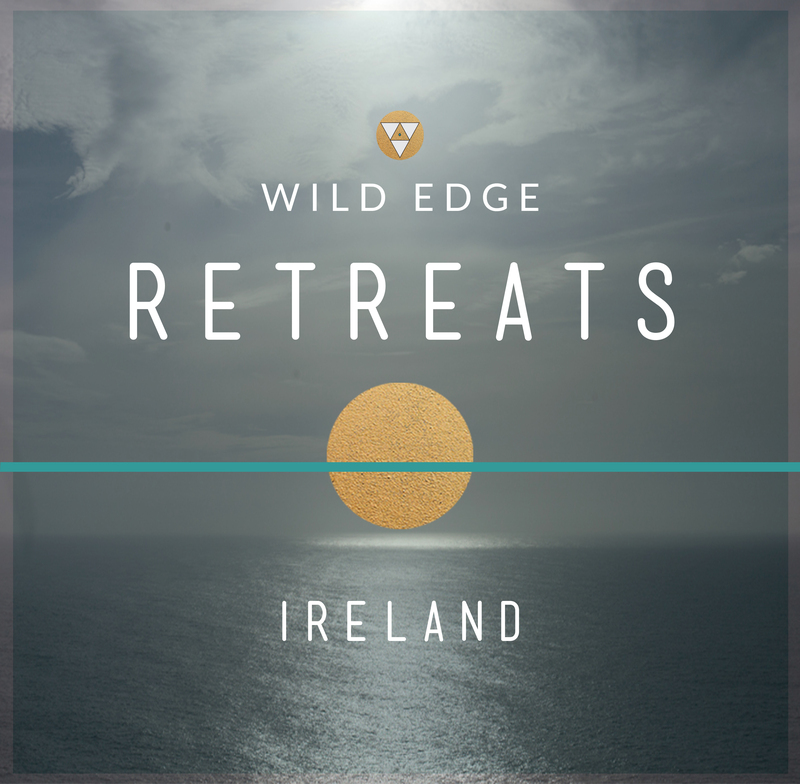 I am continuing to host Wild Edge Solo Retreats. Dates in June, July and August available. More details here. Please get in touch and we can take it from there. Posted on May 22, 2018 at 1:03 pm. Meet Plant. My beautiful friend Yesim gave me Plant for my birthday at the end of March. Or rather she gave me a lovely pot, covered in moss, and told me that she had planted a bulb. She spoke of Plant’s potential but was hesitant to show me a picture of what plant should look like, in case it spoiled the experience for me. But I really wanted to see the packaging so I could have an image of what it is I have been ask to steward into care. Yesim obliged and showed me the picture of a full blooming Ismene Hymenocallis (Festalis). I was so excited about what was to come even though I had never even seen one of these before. The gift was intriguing. I was in between homes for a little while, so for a few weeks Plant lived in my car as I moved from place to place. I was nervous I would damage Plant, but Plant had not sprouted yet and so seemed OK with all the transition. When I moved into my new home one of the first things I did was find a place for Plant, right by the back door, in shelter and in light, as per instructions. Then nothing. Then nothing. Then nothing. I visited Plant regularly, checking to see any signs of life. Still nothing. I wondered if something was wrong. Had I killed Plant? Had I thwarted things by moving around so much? I kept waiting and wondering. 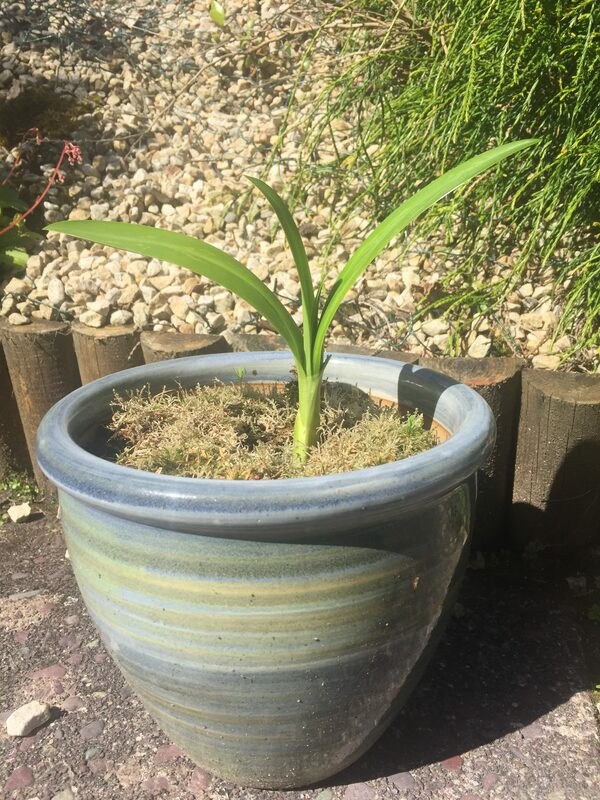 A few weeks in, I went away for a weekend, and then boom, when I returned Plant had sprouted. Not only that but was now about 1cm above the soil level. Plant was growing!! Since then I have been watching and checking on Plant, making sure it has the right conditions for growth. I don’t have to do much. Just keep checking the conditions. One morning this week, after visiting Plant, I also had an aha moment- Plant is offering a metaphor for the work it takes to create the right conditions for growth, and also giving me a new way into understanding the work I do in the world. My whole body came alive with this realisation- which always tells me I am onto something. ‘Create the conditions for growth’. This is what I was learning. I was in the shower at the time of the aha (often when the best ideas come! ), so I hopped out, grabbed a towel, and raced to my journal to capture the ideas and insights. I find if I don’t do it immediately, the ideas move on and are harder to find again. I scribbled down a list of the conditions for growth which Plant was helping me to see and how it relates to leadership, creativity and wayfinding in our lives. These conditions are generative, in that they are life-giving and life affirming, and they can apply at an individual, organisational or systemic level. The conditions are foundational, working below the surface (inner life and values), and also with the invisible elements which are is not seen (field intelligence and spirit), but are also very practical and grounded. More and more I am appreciating the time it takes to grow things. What we seed now may take a long time to come to the surface, but keeping open to the conditions of growth is the key. One, two, three years on, I get emails from clients saying change they made back then is reaping the rewards now- financially, emotionally, physically, mentally, spiritually. I see this in my own life too. Seeds which I planted years ago are starting to come to life now. Others, it may take a while yet. The thing is- to keep planting. Not everything will flourish, but some things will. This insight and feedback in turns gives me a greater appreciation of the role of time and tending to the unseen, and helps me to actively nurture my own growth cycles. This work of change and learning is not about quick fixes or easy answers. It’s not about growth hacking, or unnatural (and unsustainable) scaling. It is not about diets or denial. Instead it is about creating the ground from which we can evolve the eco-system into which our lives (as individuals, organisations and collectives) can thrive. So, here goes: On creating the conditions of growth- a creative practice for you. Think about what it takes to steward into life what it is that is seeking to grow. You can choose something from your personal or professional life. Draw a picture of a plant, including a pot. Beside each element of the plant, take some time to journal responses to the questions. The pot is essential. The pot is boundary or landscape or structure into which we plant our seeds- our ideas, our visions- the thing we want to grow. A beautiful pot helps, but is not essential- it is the boundary which is important. In our lives or projects a boundary can be agreements around what is involved in the project and what is not, who is involved at the current stage, and who is not. It can be a set of collaboration agreements between people involved, or a series of commitments to the project which will help protect and nurture it at the early stage of growth. By creating a container, or parameters, we get to set the stage for the growth. What is the form of the container for your own ideas? What does the boundary look like? And how can that boundary be protected? That picture of Plant- or a similar Plant- was so important to the stewarding. Let’s equate this it the vision for the project, or our lives. Without out a picture of what it is we are seeking to create we have less investment with a pot which we have been told has life in it. Our vision helps to carry us through the dormant times, the rest time, the time where all this new life is germinating but we can not see it yet. The vision is our orientation to the future full potential. When Yesim offered me the image of the Plant, I was activated and excited. I gained an understanding of what it is I am stewarding and am appreciation of the time it will take for Plant to grow. The vision is the vehicle through which commitment and energy can flow. How can you cultivate your own vision? How can you paint a picture of what it is you want to create? How can you share this vision with others who you want to engage in the stewarding process? Growth takes time, and not all time is equal. There is a long period of time in the dark when can doubt if things are actually moving. Then there are growth spurts. Then there are plateaus. We can accelerate growth by providing the right conditions and feeding what it is we want to bring to life, but deep change takes time, and patience, and often a lot of fumbling around in the dark. How can you honour this cyclical and wave like nature of time? Are you giving yourself enough time? Or too much time? What still needs time under the surface? What is ready to bloom? I am so excited about watching Plant grow. Each day more and more so. I realise that it is not just about the end product that I am excited about, but seeing each stage of the growth cycle. The process is the joy. So often we get fixated about the end result, but in fact joy is available all through the process. If there is no joy in what it is you want to create, if it does not bring you alive, then something it off and it is time to change track. Joy is a signpost to your way. How does your body respond when you speak about the thing it is you are doing. Does your body feel contracted, tight or constrained? Or does your body open up, feel lighter, and more energised? Your body will help to tell you if you are on the right path. Listen for the openings. The soil is the nourishment. It is separate to what is seeding it, but it is offering substrate into which Plant’s roots can grow and through these roots that it is drawing in life force. Maybe the nourishment is poetry, or deep enriching conversations, or actively seeking inspiration from others. Maybe it is taking time out, or reflection, or having a party. What is the soil of our lives, or projects, our organisations? What is it that nourishes them, inspires their growth and feeds them? Below the surface, the roots of the plant are making their way deeper into the substrate, for stability and growth. These are like our value system. We don’t see them, but our values are like channels through which the life force can flow. When we are clear on our values we are clearer about the types of things we want to say ‘yes’ to , and the type of things we need to say ‘no’ to. (I have previously written a lot about values, and have developed another exercise to help you identify yours. You can view that here. What are your core values? How do you think they shape how you show up in the world? How can you created a sense of shared values is your team, organisation or family? Place is a powerful factor in supporting growth- what we surround ourselves with and who we surround ourselves with. The right physical space inspire us to take action. Think of the difference in a light filled- airy office, and a dark room with stale air. Space in nature, or co-working space, or a large blank page all have a role in play. Change the space and we can change our thinking. Orientate ourselves to the light and we change the way we grow. Light and space are the unseen factors which are often so overlooked. Do we have enough physical space to grow? How is the place you are in informing what you are creating? Are you surrounding yourself with inspiration and beauty? How can you be oriented to the light? What does the ‘light’ represent to you’? There is an intelligence to life which demands our trust. That life seeks life. That change is constant. That there is an animating life force which is universal. You can take both a scientific approach or a spiritual one, or both. Life, and growth, has an intelligence beyond our control. When we trust, and let go of some of our control, we can align with this larger field of intelligence. Then you start to notice: synchronicities, being in the right place at the right time, the right conversations happening naturally or that very thing you were searching for being under your nose all along- you just had not noticed before. How can you honour this wider field of intelligence? Not all seeds will make it. This too is life. Sometimes there is no real explanation about why one grows and one does not. I was lucky with Plant- it grew, but there was no guarantee. If I wanted to increase my chances, I would have needed to plant more bulbs. When it comes to thinking about our personal and professional life, this is where prototypes and experiments come into it. We try things out in different ways, we realise that not all ideas are ready to grow, we understand that some need to stay in the dark for longer, we realise that failure is just an intrinsic part of systemic growth dynamics. We take a risk, and when the thing blooms, we enjoy it all the more. Are you experimenting enough to grow? No doubt my thinking on this will change over time. Right now I hope it will also give you food for thought and you can think about how Plant may inform and inspire your own life. TBC later in the summer, when, all going well, we’ll have a bloom. In the meantime, I’m going to make sure I enjoy each stage of growth! 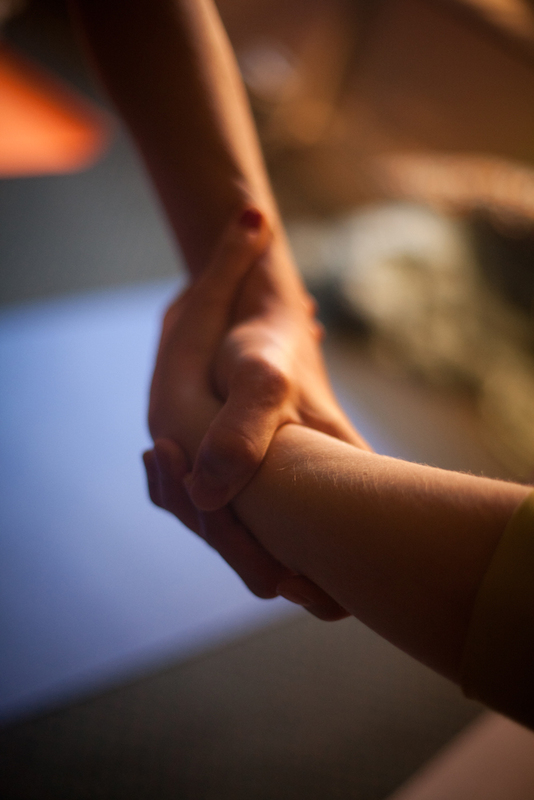 Want some one to one support to help you steward your ideas and creations to life? Find out more about my creative mentoring options. 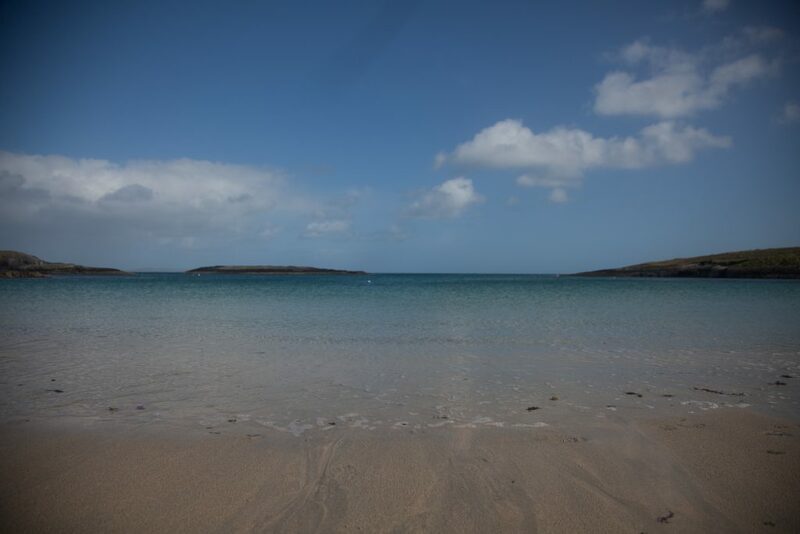 Want to come to West Cork for a deep dive? 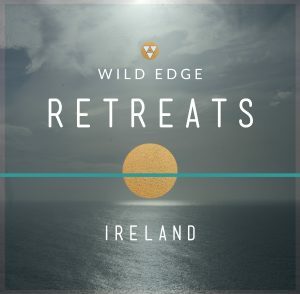 Wild Edge retreats are open (and the weather is amazing down here at the moment. A good time to book and soak in the place and space this has to offer). 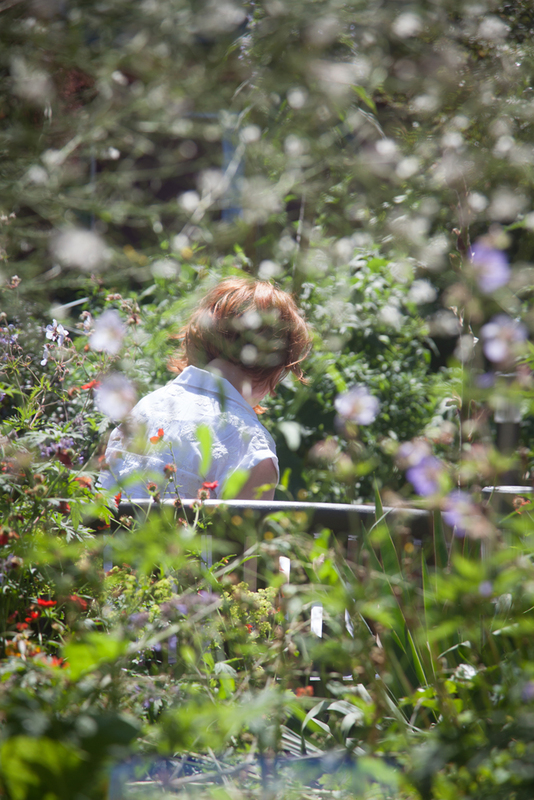 ”Clare’s care for details, deep listening and ability to pull the right question created a safe space for me to meet and connect to myself. Not only mentally but emotionally, spiritually and physically. She helped me navigate strong emotions and confusion and come out clearer the other side. She’s a lighthouse for when we need to go on the brave journey to our deeper selves, a journey which lead to truly fulfilled life’ – Naomi Fein, Think Visual CEO, May 2018. Posted on May 17, 2018 at 11:05 am. The more I sit still, the more I can really listen to what life is presenting to me- the opportunities, the love, the joy, the next steps. It helps me get out of my own way and presents me with images/ intuitions/ signs/ symbols and words which help to guide the way. Over the years I have practiced listening and acting on these images. They present me with questions, and in the question, is the QUEST. The questions have why, what, and where in then, not how and when. The how and when comes later. The learning is to listen to what is calling you, why you are drawn to it, what values you are honouring, what in you opens when you listen (Does your body come alive or shut down? Do you have feelings of stress or feelings of joy?). The aliveness, the joy- it is there to show you the way forward. When we start with the ‘how’ (how do I build the next thing, or make the transition or the leap), it’s ripe ground for fear to enter too. Does an artist sit at an easel and ask, ‘How do I paint that tree, or that thing of beauty in front of me?’, or does a poet ask, ‘How do I write a poem?’ No- they listen first, they look and observe, they create the space for the work to flow, and then they show up to the creative, generative process inviting spirit, insight, action and intention to join them. Through the process and prototype they figure out the how. So often we approach our lives like strategic plans or business reports measuring ‘success’ by metrics not of our own. We worry so much about the how without listening for the why and the what. We forget to invite creativity and our innate wisdom into the equation. But what if we were to approach our lives like creative acts- an unfolding poem or an art work in progress? The art is in the living. What we create (jobs, businesses, networks, relationships, organisations, collaborations, new life paths) are then infused with this artful way- a work in progress, flexible and creating beauty in the world which serves the greater whole. This is what I mean when I speak of creative leadership. This is the only way I know that works. 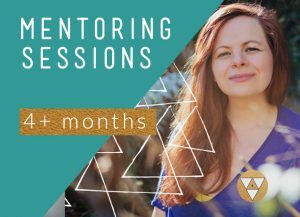 Want to listen in to your intention, purpose and vision and learn to create aligned action and prototypes? 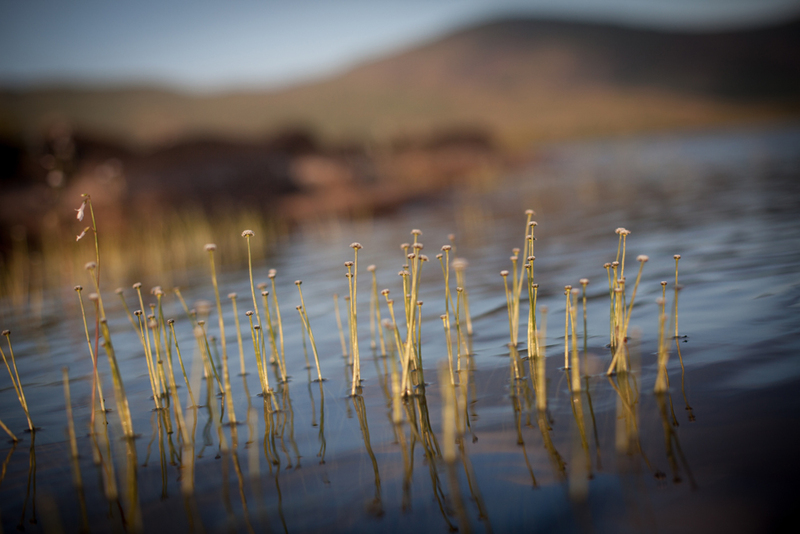 Taking bookings now for one to one mentoring, vision mapping sessions and Wild Edge retreats (here in amazing West Cork) in which I share some of the tools, skills and practices for leading and creating your own one wild life. Posted on April 29, 2018 at 5:36 pm. We are ancient and new all at once. We’ve evolved from generations and generations, who each laid the template for our being in the world. The seas, the trees, the rivers, the mountains, the bees, the smallest of creatures to the largest, are all part of our ecological heritage which has enabled our being in the world. Our human ancestors then mapped the fields which feed us, paved the roads and gave us their wisdom and medicine. Rituals connect us to a time span longer than our life span- serving to remind us that we are stewards to this earth and have been offered the gift of living- right here, right now, in this privileged time of ours. The act of honouring ancient rituals brings us into conversation with our deeper, wiser selves– to our inner knowing and simultaneously to our place in the wider community of life, ecology and customs which surrounds us. In the Celtic Calendar, Bealtaine was a time of the year- one of the eight significant points in the Celtic Wheel- when the ritual of fire ceremony created a portal of celebration to mark the summer season- a time of fertility, light, growth and blooming. On the hill of Uisnech, the ‘naval of Ireland’, a place which in myth and ancient lore marks as the centre of our celtic imaginal capacities, and a meeting place of the provinces of Ireland, the Bealtaine fire is still lit, high on the hill. As the central fire rises, the flames communicate their celebratory announcement of summer to the communities across the land. Fires begin to simultaneously rise across the hills of Meath, and from there the celebrations spread, from province to province, from heart to heart. The Uisnech fire is a strong symbolic nod to the power of lighting our own inner fire. When we are ablaze with ideas and inspiration, fuelled with long summer nights and at least the promise of sunny days- our light can catch, like wildfire, spreading out into our families, our colleagues, our communities. So, this Bealtaine (1 May), take pause to fuel your own inner fire. 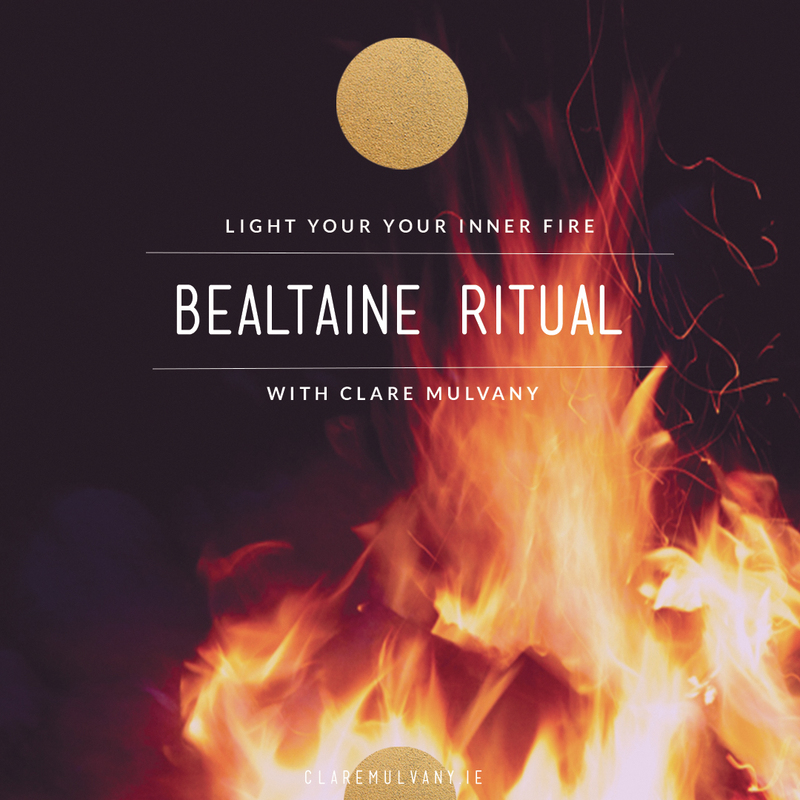 I have designed a Bealtine Ritual to support you to reflect, to tune into what wants to blossom in your own life, and to symbolically light your own Bealtaine fire. Sign up to my mailing list to access your free Bealtaine Ritual. You’ll be sent a link to access the ritual as well as a host of useful resources and planners. 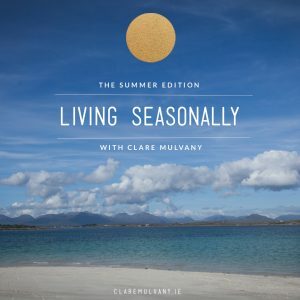 Then, I invite you to join the Living Seasonally Summer Edition, which will provide you with practical, actionable tools you can apply right across the spectrum of your life to bring your ideas to life. For remember, when we all learn to share our light- as the writer Marianne Williamson has celebrated- we give others permission to shine too. This is the season to bring your ideas to life. Join me. Registration for the Living Seasonally Summer Edition is now OPEN. We start on May 10th. Register before 11pm on May 5th for the early bird offer. 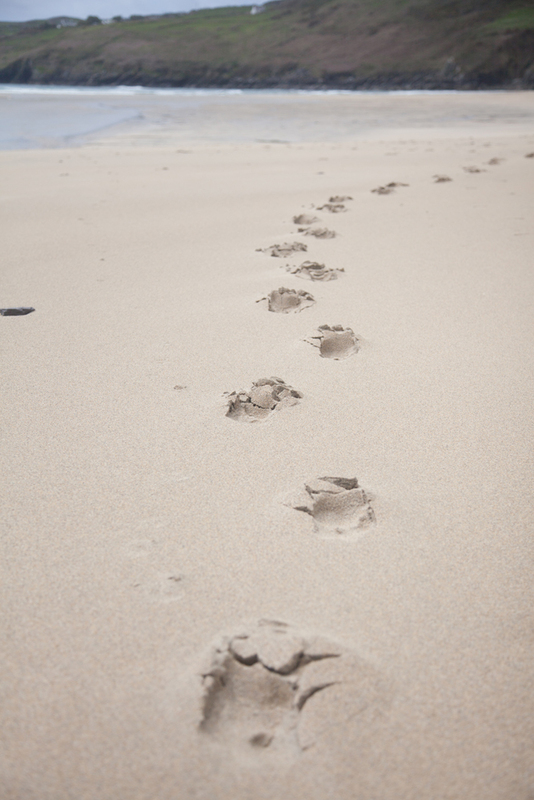 Onwards, with light in our hearts and fire in our feet, one elegant step after the next. Posted on April 28, 2018 at 8:53 am. At our core in an intrinsic knowing- the spine of us, our unique pattern, our individual code, our purpose, our source. Life gives us a zillion fast messages a day telling us who we should be and how we should show up in the world. They sway us from one manufactured desire to another. Our practice helps to strip that back and return us to our core; who we really are, how life is authentically longing to show up through us, and the intention or purpose for this next phase in our lives. Our practices are designed to help us listen below the noise, below the internal chatter- to the vast expanse of silence, and within that silence, to the vast expanse of possibility and promise. When the world turns wobbly, when feeling off-kilter, when the muddle in the head shows up as anger or fear, or anything but trust and love, it’s time to practice: to return to the yoga mat, to the meditation cushion, to the blank page or the blank canvas, or to that thing which brings you into intimate conversation with your inner life force. Our practice is our prayer, our ritual, our return, our saving grace. This is why I practice. And to that I say, ‘Hallelujah, Amen, Thank you’- over and over and over again.